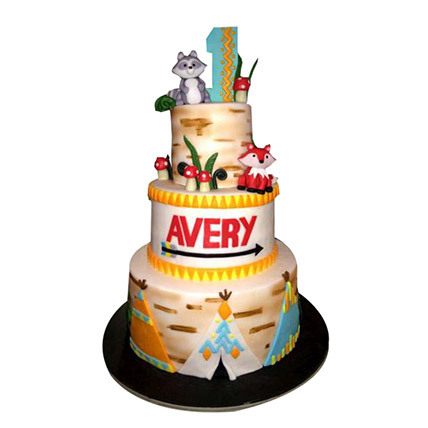 The more the merrier – is the core word for this alluring three tier cake. It has cute little models of fox and the fondant layer is made with white chocolate. The base flavor is vanilla or chocolate depending on the variation you would love to have.